First of all I want to wish you all a happy Easter and hope you are having a wonderful long weekend with your loved ones. And of course, getting some time to yourself to craft! 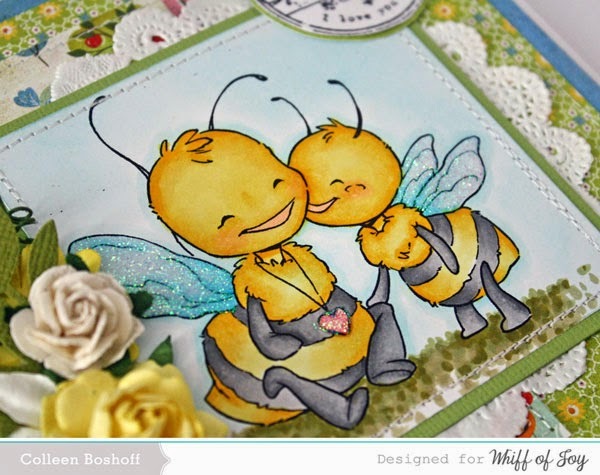 I have a gorgeous new image from Whiff of Joy 'Mothers Day Bees', this is one of April's new releases. 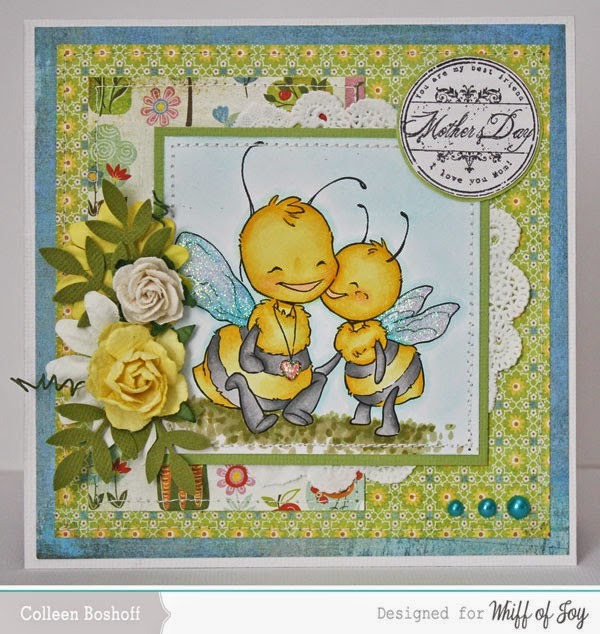 This image is so sweet and I created a bright and fun card using Basic Grey 'Picadilly' papers. The sentiment is WOJ 'Festive Occasions', flowers are Kaisercraft and Wild Orchid, doily from my stash and some pearls to finish it off. I will be back with more WOJ previews and don't forget WOJ's blog hop on the 20th April, come and join in the fun! Thank you for stopping by and for your lovely comments.